CVE Mortgage Group Inc. Ontario is a proud member of Verico Mortgage Brokers Network serving clients Ontario wide. 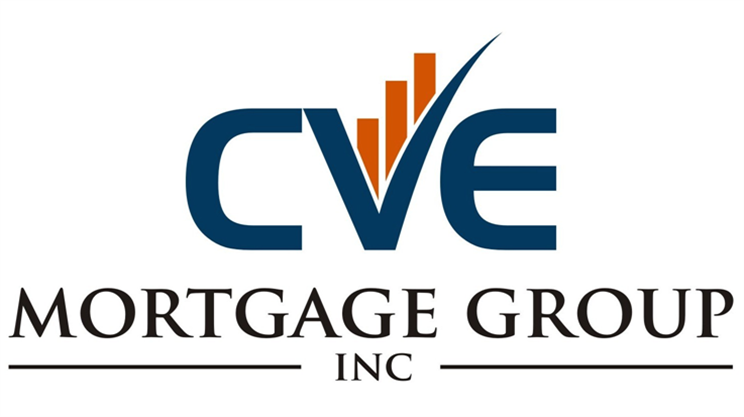 CVE Mortgage Group prides itself on being a local leader in Mortgage Brokering and providing each and every client with a personalized approach catering to their specific needs. At CVE Mortgage Group we are experts in a vast array of mortgage situations ranging from first time home buyers to financing mortgages for those with credit blemishes. Best of all, we work for you – not the lender- to find you the best possible solution for your specific financial situation! Are you a first time home buyer or require a first mortgage and live in ontario? Our mortgage brokerage can connect you to a network of over 100 Ontario mortgage lenders all competing to renew your mortgage at lowest possible rate. If the bank said no or you have bad or poor credit we can still help you get a mortgage as a first time home buyer in city. If you have horrible credit, bankruptcy, mortgage arrears, property taxes owing, power of sale, self employed or on pension or disability…. Contact us today toll-free at 1-888-934-1118 to speak with your local mortgage professional specializing in first time home buyers in Ontario. Once your Offer to Purchase has been accepted, go to see your lender. Your lender will verify (and update, if necessary) your financial information and put together what’s needed to complete the mortgage application. Your lender may ask you to get a property appraisal, a land survey, or both. You may also be asked to get title insurance. Your lender will tell you about the various types of mortgages,terms, interest rates, amortization periods and, payment schedules. Are you looking for a mortgage in Ontario? Your CVE Mortgage Broker can connect you to a network of over 100 Ontario mortgage lenders all competing for your mortgage business in city, allowing you to find the right mortgage solution at lowest possible rate. If the bank said no or you have bad or poor credit, CVE Mortgage Broker Ontario can still help you find the right city home loan solution. Your CVE Mortgage Broker specializes in providing the following services – Second Mortgages, Debt Consolidation, Mortgage Refinancing, First Mortgages, Commercial Mortgages, Residential Mortgages, Home Equity Lines of Credit, Commercial Loans, Bad Credit Loans, Mortgage and Tax Arrears. A second mortgage is a lien on a property which is subordinate to a more senior mortgage or loan. Called lien holders positioning the second mortgage falls behind the first mortgage. This means second mortgages are riskier for lenders and thus generally come with a higher interest rate than first mortgages. This is because if the loan goes into default, the first mortgage gets paid off first before the second mortgage. Commercial loans can have multiple loans as long as the equity supports it. In the terms of foreclosure a second lien holder can start the foreclosure process when a homeowner stops making payments. The second lien holder has to satisfy the first mortgage balance before they could collect on the second mortgage balance. Debt consolidation is a form of debt refinancing that entails taking out one loan to pay off many others. This commonly refers to a personal finance process of individuals addressing high consumer debt but occasionally refers to a country’s fiscal approach to corporate debt or Government debt. The process can secure a lower overall interest rate to the entire debt load and provide the convenience of servicing only one loan. Debt generally refers to money owed by one party, the debtor, to a second party, the creditor. It is generally subject to repayments of principal and interest. Interest is the fee charged by the creditor to the debtor, generally calculated as a percentage of the principal sum per year known as an interest rate and generally paid periodically at intervals, such as monthly. Debt can be secured with collateral or unsecured. Although there is variation from country to country and even in regions within country, consumer debt is primarily made up of home loans, credit card debt and car loans. Household debt is the consumer debt of the adults in the household plus the mortgage, if applicable. In many countries, especially the United States and the United Kingdom, student loans can be a significant portion of debt but are usually regulated differently than other debt. The overall debt can reach the point where a debtor is in danger ofbankruptcy, insolvency, or other fiscal emergency. Options available to overburdened debtors include credit counseling and personal bankruptcy. debt consolidation, where theindividual is able to acquit the current debts by taking out a new loan. Sometimes the solution includes some of each of these tactics. A home equity line of credit (often called HELOC and pronounced Hee-lock) is a loan in which the lender agrees to lend a maximum amount within an agreed period (called aterm), where the collateral is the borrower’s equity in his/her house (akin to a second mortgage). Because a home often is a consumer’s most valuable asset, many homeowners use home equity credit lines only for major items, such as education, home improvements, or medical bills, and choose not to use them for day-to-day expenses. HELOC abuse is often cited as one cause of the subprime mortgage crisis. A HELOC differs from a conventional home equity loan in that the borrower is not advanced the entire sum up front, but uses a line of credit to borrow sums that total no more than the credit limit, similar to a credit card. HELOC funds can be borrowed during the “draw period” (typically 5 to 25 years). Repayment is of the amount drawn plus interest. A HELOC may have a minimum monthly payment requirement (often “interest only”); however, the debtor may make a repayment of any amount so long as it is greater than the minimum payment (but less than the total outstanding). The full principal amount is due at the end of the draw period, either as a lump-sum balloon payment or according to aloan amortization schedule. Another important difference from a conventional home equity loan is that the interest rate on a HELOC is variable. The interest rate is generally based on an index, such as theprime rate. This means that the interest rate can change over time. Homeowners shopping for a HELOC must be aware that not all lenders calculate the margin the same way. The margin is the difference between the prime rate and the interest rate the borrower will actually pay. HELOC loans became very popular in the United States in the early 2000s, in part because interest paid is typically deductible under federal and many state income tax laws. This effectively reduced the cost of borrowing funds and offered an attractive tax incentive over traditional methods of borrowing such as credit cards. Another reason for the popularity of HELOCs is their flexibility, both in terms of borrowing and repaying on a schedule determined by the borrower. Furthermore, HELOC loans’ popularity may also stem from their having a better image than a “second mortgage,” a term which can more directly imply an undesirable level of debt. However, within the lending industry itself, a HELOC is categorized as a second mortgage. Because the underlying collateral of a home equity line of credit is the home, failure to repay the loan or meet loan requirements may result in foreclosure. As a result, lenders generally require that the borrower maintain a certain level of equity in the home as a condition of providing a home equity line. Apply Online in 60 Seconds! I / We hereby certify that the information given in the mortgage application form is true and correct and I / We understand that it is being used to determine my/our credit responsibilities. CVE Mortgage Group is authorized to obtain any information they may require for these purposes from other sources (including,for example,credit bureau) and each such source is hereby authorized to provide them with such information. I / We also understand that the information given in the mortgage application form as well as other information obtained in relation to my credit history may be disclosed to potential mortgage lenders, financial intermediary and mortgage in relation to insurers, organizations providing technological or other support services required this application and any other parties with whom I / We propose to have a financial relationship.